1.5 Story Reverse!! Lg. Great Rm, High Ceilings, lots of crown molding, though out the home! Kitchen boosts Custom Birch Cabinets, Lg. Decorative Fan Hood, & Island w/bar, Lots of Windows! Main Fl. Laundry. Lg. Wood floor Entry w/1/2 Bath, Lg Master & Tiled Masterbath, with separate tub & shower. Large Walk in Closet! Finished lower level w/2 Bedrooms, Full Bath and Family Room. Built in Shelves & Hobby Room in Storage Area. Welcome home to this spectacular 4 bed, 3 bath, 3,271 sq. 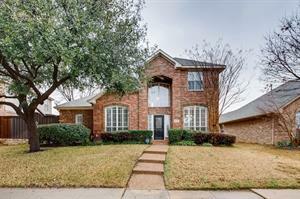 ft. home in Missouri City, TX! Open and bright floor plan with soaring ceilings and large windows. Spacious living room with cozy fireplace. Elegant formal dining room. Lovely island kitchen features granite counter tops and lots of cabinets. Breakfast nook area. Amazing master suite features dual vanities, luxurious tub, walk in shower and walk in closet. Huge secondary rooms. Private and large back yard! Be sure to schedule your showing and make this your next home today! Gorgeous corner lot home with beautiful yard. Back yard is spacious and offers a cement patio. Kitchen offers lots of natural light along with center island and ample cupboard space. 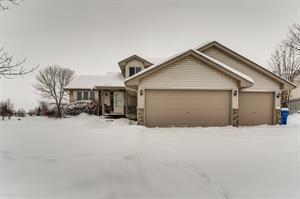 Beautiful 3 bed, 3 bath, 3232 sq. ft. home in Propser, TX! Open and spacious floor plan. Welcoming entry way with tall curved archways. Formal dining and living areas or office spaces. Lovely island kitchen with lots of cabinets, plenty of granite counter space and breakfast area. Large living room with cozy fireplace. Massive master suite retreat features luxurious tub, walk in shower, and dual vanities. Enormous gameroom upstairs. Gorgeous covered patio and enormous yard, perfect for playing. Schedule your showing today! Nice 4 bedroom, 2 bath home with a split bedroom floor plan, granite counter tops, stainless appliances with a double oven. Award winning Allen school district. This beautiful 2-story home is now available for lease, located just off Main Street in Buda in Bradfield Village. The open floor plan features a kitchen with center island, opening to a generous sized family room with fireplace, a second living/study/media room, and four large bedrooms with sizable closets. Also featuring a large private fenced backyard and a detached two car garage. Walking distance to several amenities. What an incredibly lovely home! Enjoy coming home to this 4 bedroom, 3 bath, 2,485 sq. 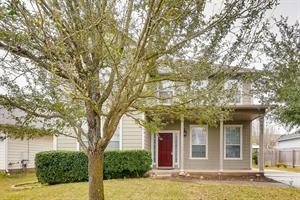 ft. home in Frisco that features a spacious layout with a wonderful entry way! Lovely kitchen that features lots of cabinet and counter space. Get cozy by the fireplace in the family room, or entertain in the beautiful formal dining and living areas! Spectacular master suite features dual sinks, huge luxurious tub, separate shower. Huge secondary rooms with beautiful baths throughout. Backyard oasis includes sparkling pool. Be sure to schedule your showing and make this your next home today! 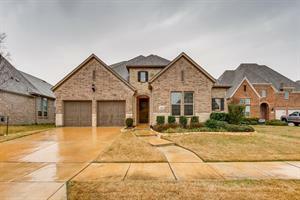 Welcome home to this beautiful 5 bed, 4 bath, 4,291 sq. 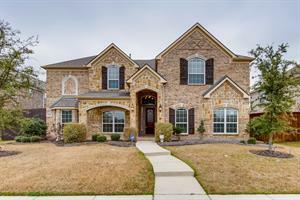 ft. home in Frisco, TX ! Open and spacious floor plan with soaring ceilings. Elegant formal dining room. Wonderful living room with a lovely stoned fireplace. Gourmet island kitchen features like granite, lots of cabinets, plenty of counter space with breakfast area. Amazing master retreat features dual vanities, a luxurious tub and walk in shower. Huge secondary rooms and media room. Backyard oasis features sparkling pool and covered patio perfect for relaxing after a long day! Be sure to schedule your showing and make this your next home today! 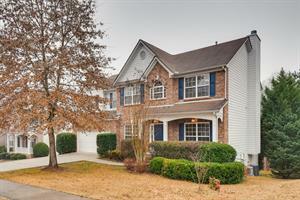 Millbridge subdivision: This wonderfully upgraded home has 3300+ s.f. of living space and offers 4 BR + LOFT, and 3.5 baths! Main level has a study, dining room, great room and incredible kitchen with granite counter tops and stainless steel appliances including gas stove and wall ovens. Beautiful wood floors and wrought iron staircase! Incredible covered rear patio is great for entertaining in the fenced yard. Upstairs is a loft/den area, a very large master bedroom and upgraded bath. Three secondary bedrooms, one with its own full bathroom.